You’ve seen it on cereal boxes, bread sleeves and cracker packaging – “made with whole grains”. But what does that mean? 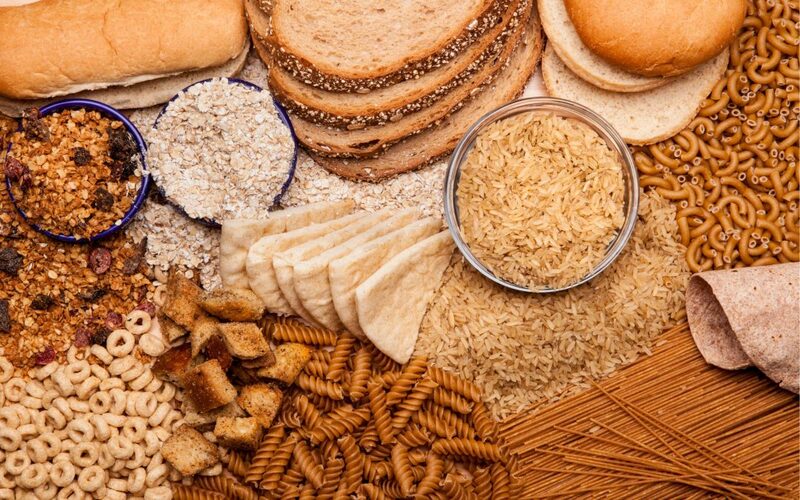 Can whole grains really improve your health and prevent diseases? In a word, yes. Simply put, whole grains are “unprocessed” grains. Think of wheat, oats, ryes, and barleys. Whole grains are foods like quinoa, popcorn, and brown rice. They are not to be confused with refined grains, which go through a process of removing important nutrients to increase shelf life. When the ‘whole’ of the ‘grain’ is used, you get all the goodness each part of the grain has to offer. One of the primary health benefits of whole grains is the dietary fiber included. Fiber is a mineral substance found in plant foods that cannot be digested by the body. This means it is not turned into sugar. Fiber is broken into two main types, soluble and insoluble. Both can be found in whole grains and have major health benefits. Soluble fiber can dissolve in water and helps slow the digestion process. Insoluble fiber does the opposite. It is digested quickly and helps keep things moving throughout the body. Whole Grains vs Refined Grains - What's the difference? One in three adults in the United States has high blood pressure. High blood pressure is caused by your blood consistently pushing too forcefully against your blood vessels. This can lead to coronary artery disease or stroke. Fortunately, fiber has been found to lower the pressure in your blood vessels when the heart beats (systolic pressure) and when the heart is at rest (diastolic pressure). To decrease your risks of coronary artery disease by 15 percent and stroke by 17 percent, eat three servings of whole grains a day. Approximately 9.4 percent of the American population has diabetes, with type 2 diabetes being the most prevalent. Type 2 diabetes is diagnosed when the body does not produce enough insulin or when the body does not use its insulin properly. This causes sugar to build up in the blood instead of filtering into the cells. Fiber does a great job of slowing down blood sugar absorption and limiting blood sugar spikes. Unlike normal carbohydrates, fiber is not turned into sugar by the body. Instead, it easily flows through your systems, helping control blood sugar levels and increasing insulin sensitivity. To decrease your risk of developing type 2 diabetes by 26 percent, eat between three and five servings of whole grains a day. If you live with diabetes, here are six tips to live better. Approximately 610,000 people die of heart disease each year in the United States. Heart disease is caused by the buildup of plaque in the arteries. This buildup makes it difficult for blood to flow to the heart, which can cause a heart attack. High cholesterol and triglycerides levels are directly correlated to heart disease, but fiber can help. Fiber has great heart benefits including the ability to lower your total cholesterol, triglycerides and insulin levels. This helps improve blood flow and increase diet quality. To decrease your risk of developing heart disease by 21 percent, eat 2.5 servings of whole grains a day. Here are four additional ways to prevent heart disease. In 2017, there have been approximately 1,688,780 individuals diagnosed with cancer, with colon cancer being the third most common cancer diagnosis. Cancer is a result of gene mutations in the body. These mutations can be caused by cancer-causing chemicals, lifestyles choices, viruses, smoking and other factors. By eating foods that your body to prevent cancer, you can lower your risk of developing the disease. Whole grains are one of those foods. They are filled with cancer-fighting substances including phytochemicals, antioxidants, and fiber. These help the body protect cells, fight infections and remove toxins. To decrease your risk of developing colon cancer, eat three servings of whole grains a day. If you are over 50, here are five more tips to reduce your risk of colon cancer. More than one-third of adults in America are obese, with the number on the rise. Obesity in the United States is often a result of eating too much and exercising too little. When you consume more calories than you burn, your body stores the excess calories as fat, causing you to gain weight. Whole grains are a great way to shed a few pounds from the waistline, mainly because they’re low in calories and high in fiber. Fiber adds extra bulk to your diet, which helps you stay fuller longer, leading to less unnecessary eating and calories. Substituting three servings of refined grains for whole grains is recommended to help with weight maintenance. Tracking your health at home can be simple – here are five ways. How to know if you’re eating enough whole grains? National Whole Grain Month is a great time to commit to eating more whole grains. For more information on the conditions, whole grains can help prevent, visit the Whole Grains Council.